My teaching and research focus on theological ethics: the ethical questions provoked by the juxtaposition of the Christian tradition and the world as we find it. Previously, I have worked on Karl Barth’s ethics and Christian pacifism; currently my central concern is the place of animals in Christian theology and ethics. 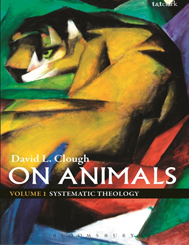 I recently completed the landmark two-volume monograph On Animals (Volume I Systematic Theology 2012; Volume II Theological Ethics, 2018), and am currently Principal Investigator on a three year AHRC-funded project on the Christian Ethics of Farmed Animal Welfare with 13 partners including major UK churches. After completing doctoral studies at Yale University, I moved to Durham as F.D. Maurice Postdoctoral Fellow in Christian Ethics at St Chad’s College, Durham, and then taught systematic theology and ethics at St. John’s College. I served as President of the Society for the Study of Christian Ethics from 2014–18, convene the Theological Ethics seminar at the Society for the Study of Theology, Co-Chair the Animals and Religion Group of the American Academy of Religion, and am Visiting Professor at the Centre for Animal Welfare, University of Winchester. In 2015, I launched the CreatureKind project, which draws on my research to engage churches in the UK and North America with farmed animal welfare as a faith issue. In 2018 I launched the #DefaultVeg project encouraging organizations to make a simple change to events catering policy that benefits humans, animals, and the planet. I am a Methodist Local Preacher and have served on national ecumenical working groups on the ethics of modern warfare and the theology of climate change. £458K AHRC grant for the Christian Ethics of Farmed Animal Welfare project with 13 partners including major UK churches. Funding from Farm Forward for a full-time staff member for the CreatureKind project. Grant from Farm Forward to fund a 3-day/week release to pursue the CreatureKind project. British Academy Overseas Conference Grant of £500 to present a paper at the Annual Conference of the American Academy of Religion, Montreal. Grant of £2000 from the HEA Subject Centre for Philosophical and Religious Studies for a project training doctoral students in skills in reading theological texts. The Farm Forward Grant for Excellence in Research and Teaching of $1000 (US Organization promoting welfare of farm animals). Full fellowship covering fees and maintenance to study for a Ph.D. in Religious Studies at Yale University. British Academy fellowship to pursue D.Phil. studies on Karl Barth’s Ethics at St. Cross College, Oxford (Yale offer pursued in preference). British Academy funding to study for an M.St. in Christian Political Thought at St. Cross College, Oxford. 2009 Introduction to Karl Barth Part 1 & Part 2, St John’s School of Mission Timeline Project. Consuming Animal Creatures: The Christian Ethics of Eating Animals Studies in Christian Ethics, 30(1), 30–44. 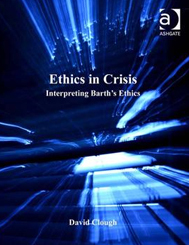 2005 Ethics in Crisis: Interpreting Barth’s Ethics, Barth Studies Series (Aldershot: Ashgate). 2014 Four responses to On Animals vol. I by David Fergusson, Margaret Adam, Christopher Carter and Stephen Webb, and my response, from a panel on the book at the 2013 AAR conference, Zygon 49(3), 741–71. 2013 ‘Not a Not-Animal: The Vocation to be a Human Animal Creature’, Studies in Christian Ethics 26:1 (2013), 4–17. 2012 What’s the Point of Animals?’ in A Faith Embracing All Creatures: Addressing Commonly Asked Questions about Christian Care for Animals, Tripp York and Andy Alexis-Baker (eds), (Eugene, OR: Wipf and Stock, 2012), 114–23. ‘The Problem with Human Equality: Towards a Non-Exclusive Account of the Moral Value of Creatures in the Company of Martha Nussbaum’ in Transforming Exclusion: Engaging Faith Perspectives, Hannah Bacon, Wayne Morris and Steve Knowles (eds), (London: T&T Clark, 2011), 83–94. with Michael Leyden, ‘Claiming Barth for Ethics: The Last Two Decades’, Ecclesiology, 6:2 (2010), 166–182. 2010 ‘Interpreting human life by looking the other way: Bonhoeffer on human beings and other animals’ in Bonhoeffer and the Biosicences: An Initial Exploration, Ralf K. Wüstenberg, Stefan Heuser and Esther Hornung (eds), (Frankfurt am Main: Peter Lang, 2010), 51–74. 2009 with Richard Higginson and Michael Parsons, ‘Usury, Investment and the Sub-Prime Sector’, Association of Christian Economists Discussion Papers 001–003 (2009), ISSN 0956-3067), 1–23. 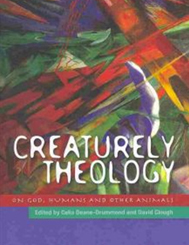 2009 with Celia Deane-Drummond, ‘Introduction’, ‘Postscript in Creaturely Theology, coedited with Celia Deane-Drummond, 1–18, 266–9. 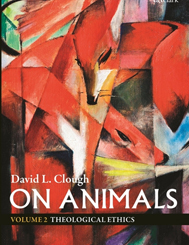 2009 ‘The Anxiety of the Human Animal: Luther on Non-human Animals and Human Animality’, in Creaturely Theology, coedited with Celia Deane-Drummond, 41–60. 2008 ‘All God's Creatures: Reading Genesis on Human and Non-human Animals’ in Stephen Barton and David Wilkinson (eds), Reading Genesis after Darwin (Oxford: Oxford University Press, 2008), 145-162. 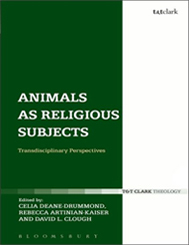 2013 ‘Putting Animals in Their Place: The Theological Classification of Animals’ in Animals as Religious Subjects: Transdisciplinary Perspectives, co-edited with Celia Deane- Drummond, Rebecca Artinian-Kaiser and David Clough (eds) (London: T&T Clark/Bloomsbury). 2012 ‘What’s the Point of Animals?’ in A Faith Embracing All Creatures: Addressing Commonly Asked Questions about Christian Care for Animals, Tripp York and Andy Alexis-Baker (eds), (Eugene, OR: Wipf and Stock, 2012), 114–23. 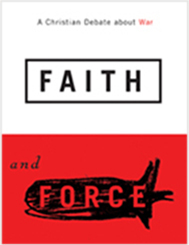 2011 ‘The Problem with Human Equality: Towards a Non-Exclusive Account of the Moral Value of Creatures in the Company of Martha Nussbaum’ in Transforming Exclusion: Engaging Faith Perspectives, Hannah Bacon, Wayne Morris and Steve Knowles (eds), (London: T&T Clark, 2011), 83–94. 2009 ‘All God's Creatures: Reading Genesis on Human and Non-human Animals’ in Stephen Barton and David Wilkinson (eds), Reading Genesis after Darwin (Oxford: Oxford University Press, 2008), 145-162. MA (Cantab. ), MSt (Oxon. ), PhD (Yale), FHEA.